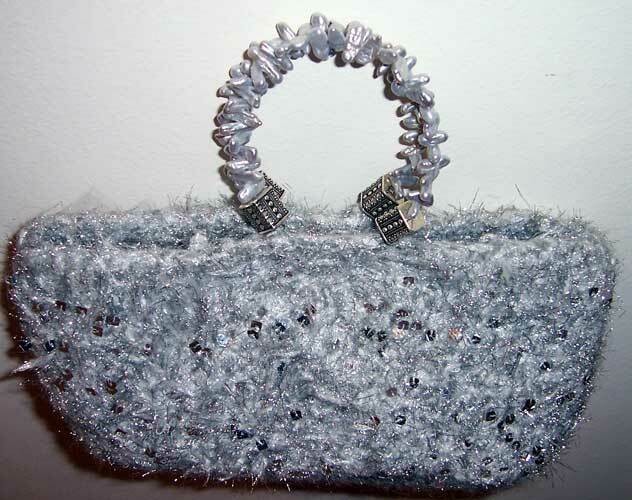 Stunning Platinum bag with silver fresh water pearl handles. Sparkling with silver sequins. Approximate dimensions 4 (h) 11 (w) 2.5 (w).